Bang Interiors | Long live the 50’s! 16 Sep Long live the 50’s! Yesterday Hagelstam & Co had their Modern auction in Helsinki. There were a lot of beautiful classics from the 50’s. Some of them were limited editions and were bid for way over asking price. Here a some of our favourites. 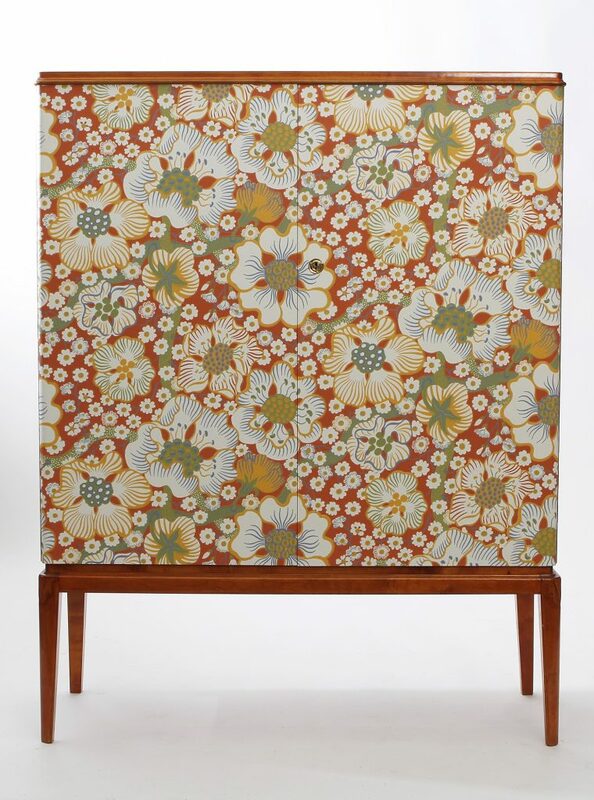 A beautiful cabinet with wallpaper by Josef Frank. Estimated price 2000 €, sold for 7000 €. Wall-light by Paavo Tynell. Estimated price 2000 €, sold for 5500 €. 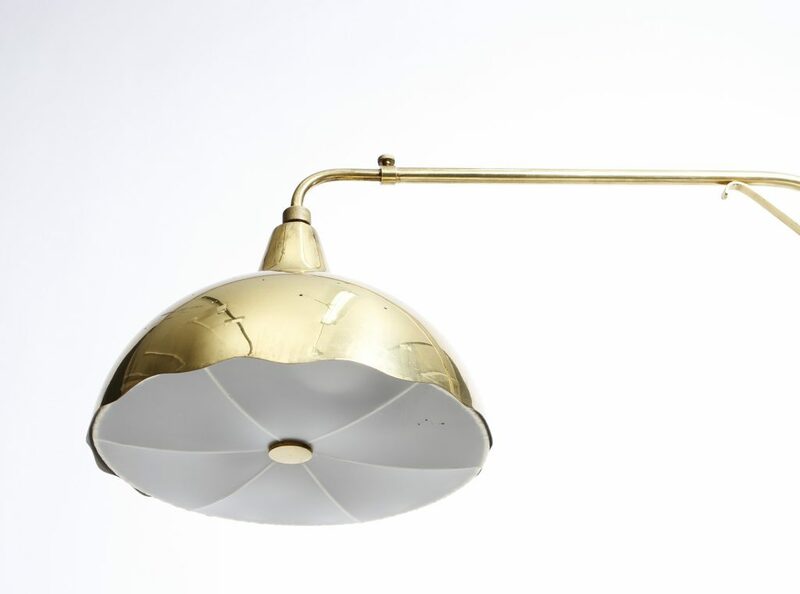 Ceiling light by Paavo Tynell. Estimated price 8000 €, sold for 13000 €. 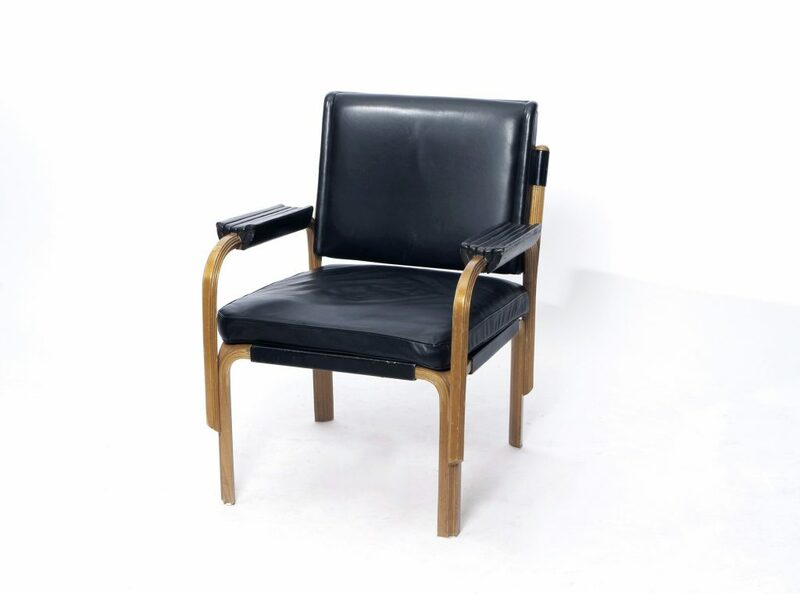 Armchair in birch and black leather by Alvar Aalto. Estimated price 1500 €, sold for a whopping 80 000 €!